There are many kitesurfing schools, instructors, and options for anyone looking to start in the sport or to learn some new kiteboarding tricks. Browse the listing below for your kitesurf lessons, pick your instructor, be safe and have some fun. Keep in mind that each kitesurf instructor covers a certain area and sticks to basically one spot, so you’ll need to choose where to kitesurf in Costa Rica and then match that up with your favorite kite instructor there. Enjoy your kitesurfing lessons in Costa Rica! Leave a comment about kitesurf lessons in Costa Rica HERE. Blue Dream Hotel Teaching since 2000 and the first kitesurfing instructor in Costa Rica, Nicola Bertoldi is an encyclopedia of knowledge for this spot with a great relaxed attitude, good teaching style, and the flexibility to accomodate all kinds of lessons and guests. He speaks English, Italian, and Spanish. 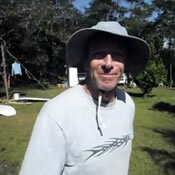 Cometa Copal Kitesurfing Bob Selfridge is a PASA instructor with 5+ years experience. He was an emergency medical technician (EMT), lifeguard, and educator. 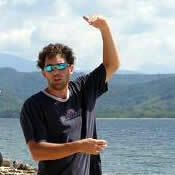 TicoWind Peter Hopley is IKO certified and the top option for kitesurfing lessons on Lake Arenal. Peter’s kite school, Tico Wind, teaches exclusively with Cabrinha Kites. 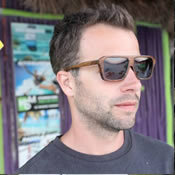 La Sandía Kent Graninger is PASA certified and a professional kiteboarder. 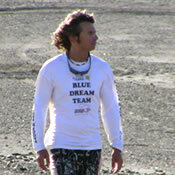 He’s able to teach many facets of kiteboarding and is very knowledgeable about gear. CostaKite School Fernando is an instructor with 8 years experience in Spain, Mexico and now in Costa Rica. He speask spanish and english and has based his CostaKite school in Bahia Salinas.